Times are changing for the automotive industry. The introduction of autonomous vehicles (AVs) is changing the players involved in the development of vehicles. What once was a relationship between automakers and hardware component suppliers, now also includes technology companies. Automakers relied on component suppliers to provide the hardware needed to manufacturer a vehicle. With AVs, automakers have turned to technology companies to supply the software and platforms used to make a vehicle autonomous—allowing the vehicle to perform all aspects of driving tasks traditionally managed by a human driver. With start-up technology companies entering the automotive industry, their ability to leverage bargaining power, as they have in the software licensing context, may decrease in favor of the more traditional supplier/purchaser relationship that has existed for years in the automotive industry. More than one thousand parts fit together like a puzzle to make an automobile operational. The starter, alternator, airbag and wheel assembly are some of the parts that automakers traditionally purchased from a supplier and incorporated into a vehicle. Although automakers need the hardware supplier to manufacture their vehicles, purchase agreements establishing the automaker/supplier relationship include provisions requiring the supplier to maintain insurance and indemnify the automaker for damages or injuries caused by the products supplied. Supplier shall indemnify and hold automaker harmless from and against any and all loss, liability, damages, costs and all expenses, including attorney fees, arising directly or indirectly out of Supplier’s performance of work under this Agreement or the use or sale or importation of any Parts. Further, supplier agreements would typically require the supplier to maintain General Liability and Automobile Liability Coverage in amounts not less than $1,000,000 per person, $1,000,000 per occurrence Personal Injury, and $1,000,000 per occurrence Property Damage. These provisions relieve the automaker of liability and puts the supplier on the hook if any accident is attributed to the component part. Software that will run each component of an autonomous vehicle as well as the software systems that will manage the coordination between the components to ensure seamless operation will be provided by a mix of software engineers employed by the automakers and external sources. And with the amount of data an AV will generate as it navigates various driving environments, there will be a need for onboard computing, wireless connectivity for communications with other vehicles, infrastructure (vehicle-to-everything communications or V2X), and connectivity for communications to conduct cloud-based computing and updates. Each one of these components will be essential to the smooth, safe, and secure operation of the vehicle and each present a point for consideration of the assignment of liability in the supply chain. Depending on the nature of the arrangement between the automaker and the software developer, either a Software as a Service (SaaS) Agreement or a Software Licensing Agreement will be needed. The key distinction between these two agreements is that in the SaaS agreement, the supplier is acting as a service provider to the buyer; whereas in the software licensing context, the supplier is licensing its product for use by the buyer (licensee). Regardless of the agreement, the parties will need to address which party will bear responsibility for potential “errors” or anomalies that cause operational or security issues. Reliance on traditional liability, indemnity, and warranty provisions, which disclaim or greatly limit liability on the part of the supplier in the software context, may be insufficient where the consequence of system failure could result in a loss of life scenario. SaaS agreements and software licensing agreements utilize indemnification and warranty provisions as tools for managing the risk exposure of the supplier vis-à-vis the buyer, and, in the case of SaaS agreements, are typically constructed with monetary caps on liability, with a higher cap for exceptions where knowing or negligent actions and breach as a consequence of supplier error has occurred. The monetary caps represent the risk tolerance that the parties are willing to accept while moving forward with the agreement, and are quite often, in the SaaS context, tied to the value of the services provided under the contract. Further, in negotiating these agreements the parties will factor in insurance coverage that each entity has or will put in place to cover the potential obligations created. A Potential Shift in Liability Bargaining Power? Against this backdrop, the entrance of technology companies into an industry formerly dominated by hardware component supplier relationships will likely cause both the supplier (technology companies) and automakers to evaluate and adjust their negotiation positions. Both sides will need to recognize that the typical bargaining power enjoyed in their respective industries may be eroding. That is, the industries will need to meet in the middle. For instance, automakers may not be able to transfer all liability to the software component suppliers given that there may be several software or technology suppliers within the autonomous vehicle platform (e.g. navigation software, sensor technology) and it may be difficult to assign or apportion liability to a specific component in the event of a software failure. Automakers instead may want to consider accepting lower maximums on insurance requirements or caps similar to those found in SaaS Agreements. On the software or technology provider side, the companies must be willing to accept that they may not be able to bargain for terms that include a requirement that the licensee accept the software “as is” or “as available.” As more of these agreements are entered into, risk management will continue to evolve. In the background of these contractual negotiations are federal and state efforts to better define the regulatory landscape in which these vehicles will operate. At the federal level, Congress is attempting to pass legislation that would provide guidance to the Department of Transportation (DOT) on introduction of AVs into commerce. Legislation currently moving through the House and Senate would set standards for the testing of AVs and allow DOT to grant more exemptions for automakers to sell AVs that do not meet the current federal motor vehicle safety standards. The legislation also would require automakers to submit safety evaluation reports annually that provide information regarding AVs safety, cybersecurity, data recording, human-machine interface, crashworthiness, capabilities, post-crash behavior, account for applicable laws (traffic, rules of the road), and automation function. Both the House and Senate bills would preempt state laws regarding vehicle safety and would establish a process by which DOT would develop new federal motor vehicle safety standards. Neither the House nor Senate addresses liability per se, but the preemption provisions process for approving the sale of vehicles that do not meet current safety standards and requirements regarding development of federal safety standards will have indirect effects on the issue. A number of states have passed laws that allow for testing and operation of AVs on public roads. States have also passed laws that specifically address liability. Florida, Michigan, Nevada and the District of Columbia all shield manufacturers from liability for damages resulting from a third party’s conversion of a vehicle into an autonomous vehicle, except where the damages are caused by a defect that was present in the vehicle as originally manufactured. Michigan also shields from liability certain subcomponent system producers and mechanics or repair facilities for work done in connection with AVs under certain circumstances. In addition, California has proposed changes to its autonomous vehicle deployment regulations that would narrow the circumstances in which manufacturers can be held liable for incidents involving AVs. The hardware and software components that make up the platform on which AVs operate are emerging in an environment that holds out great promise for advancing safety on our roads. AVs are coming online in advance of clear rules from regulators and where industry-developed safety standards are still evolving. As the development of AVs will likely continue to outpace the adoption of rules and standards, ensuring appropriate liability assignment through contractual agreements will be critical. Bargaining power will play an important role in negotiating liability in these agreements, but as the parties to these agreements negotiate their relative liability, it will be important for insurers and consumers to understand how liability is being allocated. 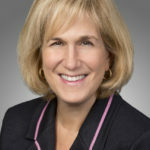 Susan H. Lent is a partner in Akin Gump’s Washington, D.C. office and leader of its infrastructure and transportation practice. 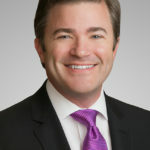 Kevin E. Cadwell is a partner in the firm’s intellectual property practice in Houston and San Francisco. 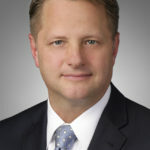 Gregory A. Guice is senior counsel in the firm’s public law and policy practice in Washington D.C. and the former Director of Legislative Affairs at the Federal Communications Commission. 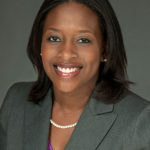 Ashley Edison Brown is counsel in the firm’s intellectual property practice in Houston. 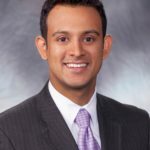 Jay K. Tatachar is counsel in the firm’s intellectual property practice in Dallas.